1) Today is national do something nice day, and Saudi Arabia has responded accordingly, adjusting most of its official selling prices (OSP) lower for its various grades to various geographies for November (h/t @oilsheppard). 2) Our ClipperData show below how Saudi exports to the U.S. in September have clambered to a 5-month high, back above the 1 million barrel-per-day mark for the first time since April. 3) As for today's weekly inventory report, the counterseasonal draw to oil inventories can be summed up by higher runs, lower imports. Even though runs are coming off, as they seasonally should, they are nearly 500,000 bpd higher than this time last year (hark, below), while waterborne imports continue to remain subdued, coming in below 5mn bpd last week. A rebound in gasoline throughput and lower runs encouraged just a minor build to gasoline stocks, while a draw to distillates makes sense from a seasonal perspective. A fairly supportive report on the whole. 4) Caelus Energy has just published a press release, announcing a large-scale discovery of an estimated 6 billion barrels in Alaska. 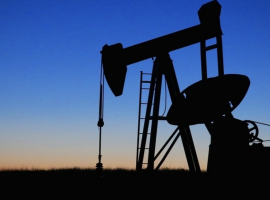 Recoverable reserves are estimated at 2.4 billion barrels. 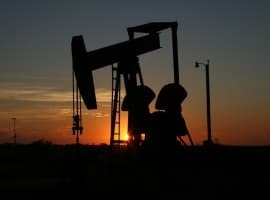 In addition to this whopping find, there is adjoining acreage which could boost the estimate to over 10 billion barrels. The Smith Bay development may add production of 200,000 bpd to the region, which would leave via the Trans-Alaska Pipeline System (TAPS). Our ClipperData show (hark, right) that production is around a modest 500,000 bpd, with the vast majority of this output being shipped out via TAPS. The chart below illustrates that this find would boost Alaska's proved reserves by 80 percent, given the state's current proved reserves were at 2.86 billion in 2014.